Donald Macleod explores Copland's last years and his retirement from composition to concentrate on a new endeavour - conducting. Orchestra: Juilliard Orchestra. Conductor: Sixten Ehrling. Performer: Earl Wild. Orchestra: Orchestra. 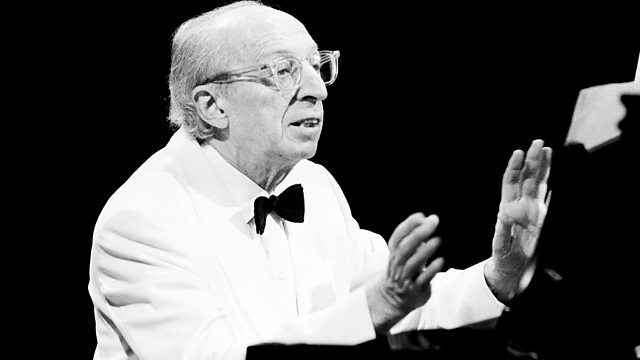 Conductor: Aaron Copland. Singer: Marilyn Horne. Orchestra: English Chamber Orchestra. Conductor: Carl Davis.